Designing a fresh look in a tired old house starts with Paint. I love shopping there, and the men in the Paint Department are so kind. It’s a neighborhood place, with lots of staff that answer every question. It has taken months to decide on the right colors. I had these gorgeous Valspar paint chips last Christmas. I think the names of the colors made me happy. So I got three of the tiny test cans for $9.99 – mixed for me. I have to admit “Delphinium Corsage” had me at the name, but so did “Zydeco” and so did “Deep Ocean Floor.” I got those three. So these are the knobs I found. I’m doing the kitchen over in a very fresh blue and white scheme, and the quality on the Valspar Paint is just exceptional. I loved Deep Ocean Floor so much I decided to have the paint man do one quart of exterior to paint some trim on the outside. For months I have played around with these chips and propped them next to things. In the end I decided on a chalk finish for the cabinetry, that I can wax. But the interiors of the drawers and cabinets themselves will go totally Valspar, as will the walls. 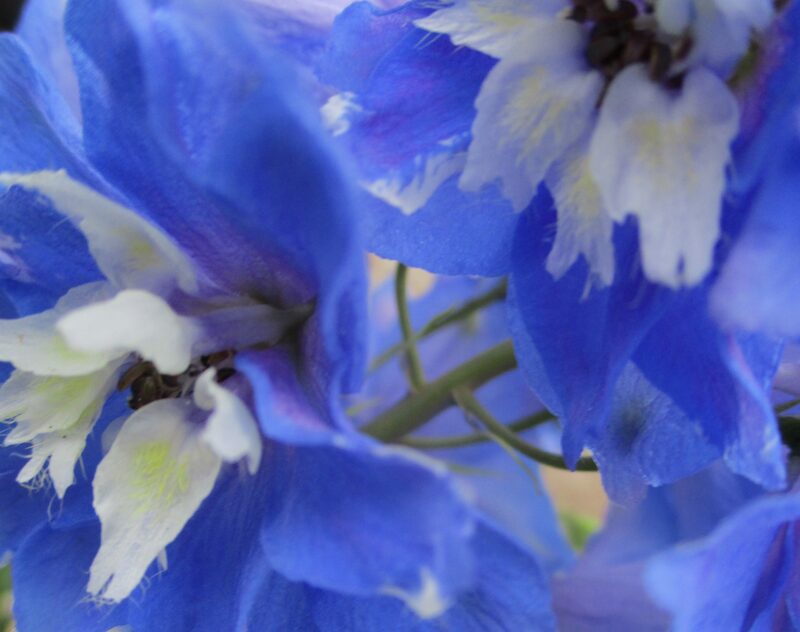 I want the kitchen to feel like walking into a patch of Pacific Giant Delphiniums, or Magic Fountains Delphiniums. This entry was posted in Uncategorized. Tagged Ace Hardware, Blue and White, Deep Ocean Floor, Delphinium Corsage, Delphiniums, Design, Fresh looks, Kitchen Designs, paint, Valspar.